Leaders of the business community care about education in Michigan not just because they’re trying to be good corporate citizens. It’s also because business leaders are connecting the dots between investment in education and its impact on the economic future of the state. 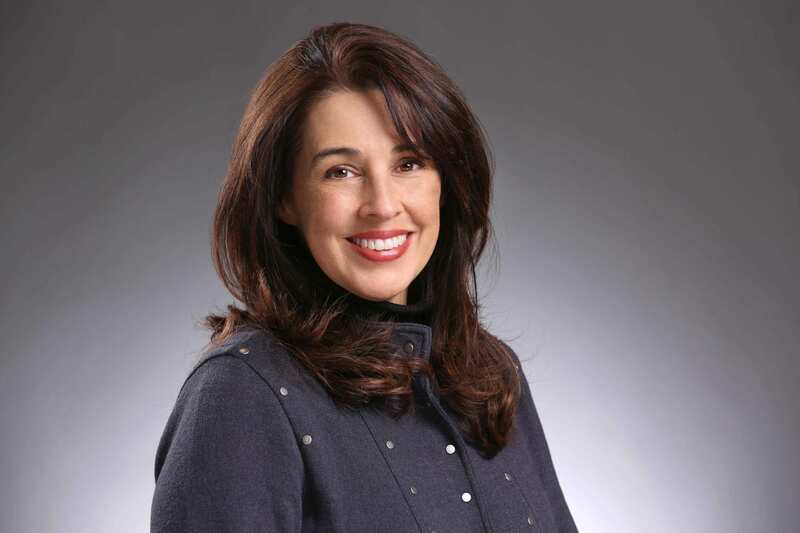 Michigan’s educational landscape, and its more than decade-long decline, is well documented in a report issued this month by The Education Trust-Midwest. 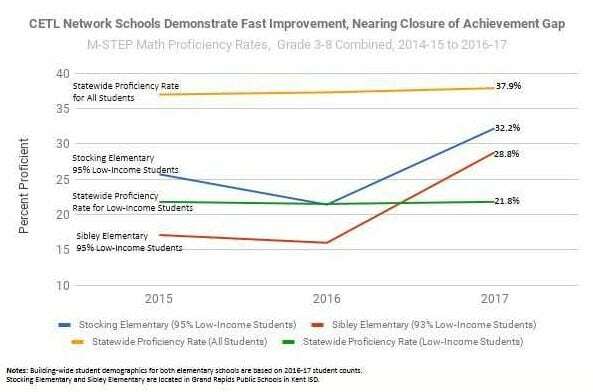 Over the last fifteen years, Michigan’s relative rank has fallen dramatically in early reading and math achievement compared with the rest of the country. Data suggest Michigan’s K-12 education system is witnessing a systemic failure. Michigan African-American students are at the bottom nationally in both fourth-grade reading and math. But the crisis doesn’t just affect students of color. 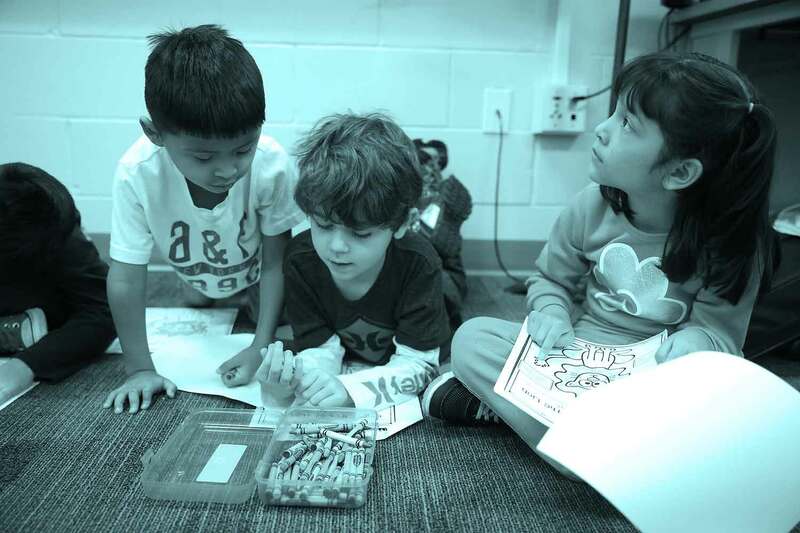 As recently as 2003, Michigan was among the top states for white student achievement in fourth-grade reading, but now ranks 49th compared with peers across the country. Furthermore, data show white students in Michigan’s higher-income communities now rank 50th in early reading. Indeed, Michigan is in free fall, on the way to becoming ranked among the worst education states in the country. In short, in a global economy – and an increasingly global talent pool – Michigan’s faltering K-12 system puts students at a huge disadvantage when it comes to having college- and career-ready skills needed to compete and flourish in the 21st Century. Michigan’s young people are already missing out on college opportunities because of their broken education system. Their families and the state are spending billions on remediation each year, too, to make up for what the K-12 system did not do. Money alone will not solve this crisis. It will require thoughtful, sustained and committed leadership – particularly from the business sector. Other states have shown the way, and show us how Michigan can turn around its schools and soar. In global leaders like Massachusetts and high student-growth states such as Tennessee, sound practices and high-leverage strategies have produced impressive results. In both of those states, business leaders and organizations were critical to those states’ successes. 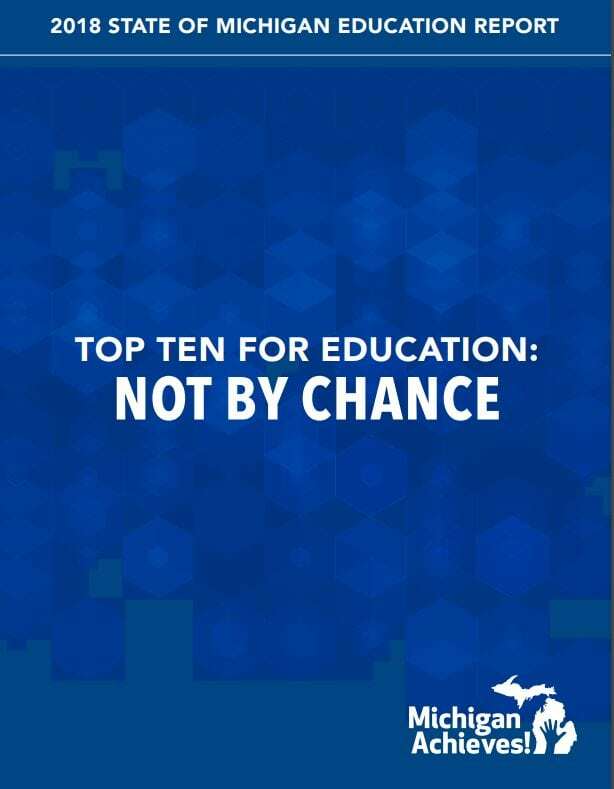 In recent months, major business leaders and organizations across the state have committed to making Michigan a top-10 education state for all students in our great state. Michigan has Great Lakes and an increasingly strong economy. But we cannot be great, by any definition of greatness, if our leaders provide our state’s students with one of the worst performing public school systems in the United States. And that in a country whose schools underperform much of the industrialized world. The business community has been an essential voice in systemic change and investment in closing achievement gaps and raising achievement in leading education states. We need business leaders and organizations in every corner of the state to work to bring our state’s education policies in line with our goal of better schools. It’s time for Michigan business leaders to help provide leadership in advancing a thoughtful, research-based strategy to ensure our system is teaching all children at the high levels of achievement that they so deserve. It’s crucial to their futures — and to Michigan’s economic competitiveness and future. Michigan business organizations and leaders can take concrete steps to support better educational outcomes for all children in our state. To find out how to get involved visit michiganachieves.com. And consider signing on to the campaign to make Michigan a top ten education state at edtrustmidwest.org/michigan-achieves-letter. Michigan students are just as talented, bright and capable of learning at high levels as the children of other states. Getting all children in Michigan up to speed, compared with their peers in other states, is key to our long-term capacity to attract and retain talented employees. It also will help us create an environment that will encourage businesses to locate here and expand operations, and ultimately create good jobs for our citizens. For the full article in Bridge, please click here.